PNG’s largest brewer, part of the global Heineken group since 2015, has been quick to adapt to economic circumstances. In recent years, businesses in PNG have faced foreign exchange shortages, which have made it harder to purchase inputs internationally. In response, in an effort to partially reduce its need for foreign exchange, SP Brewery has begun producing its own starch using locally-grown cassava. It has also established a flour mill in Lae. Stan Joyce describes the moves as ‘small steps’ only, but he believes it is a sound long-term strategic positioning. ‘It gives us a better sustainable footprint. In the longer run, the things that we have seen happen in the last four or five years will happen again in four or five years time. Joyce sees PNG emerging from a period of low growth. ‘Things are generally in a better place for the first quarter of 2019 than they were for most of 2018, and 2017,’ he says. ‘The re-set in the market—the adjustment to the availability of foreign exchange, the adjustment to weaker consumer demand—has in the main started to wash itself out. The Manufacturers Council of PNG has long argued that the country’s manufacturers need some protection, due to the relatively high costs of production in the country. Joyce believes using tariffs can be positive, provided they are implemented on a case-by-case basis. ‘We continue to have a very positive view of what the potential is, and the future of the country,’ he tells Business Advantage PNG. SP Brewery has been in PNG since 1952. It has breweries in Port Moresby and Lae. Its core activities include: brewing, marketing and distribution. 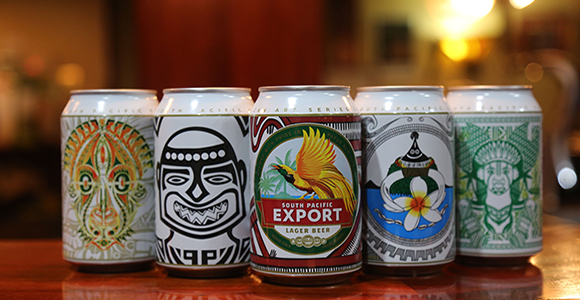 SP’s main brands are South Pacific Lager, South Pacific Export Lager and Niugini Ice Beer. Between then, these beers have won several international awards. The company is the dominant brewer in PNG, with 400 employees.